-- Select a Size/Color -- .28 oz. Your cat deserves the absolute best in treats! PureBites Cat Treats provide your kitty with a pure, tasty treat that's good for them too! 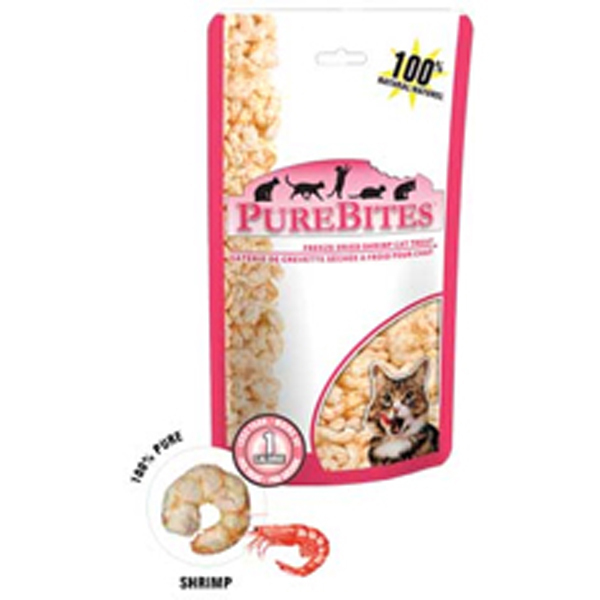 100% pure Shrimp made in U.S.A.
Less than 1 calorie per treat. 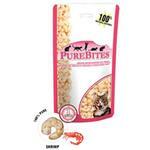 PureBites Shrimp Cat Treats are made of one ingredient: pure 100% shrimp made in the USA. Each piece of shrimp is freeze dried to lock in valuable nutrients and freshness, providing your cat with the best treat experience. Some coats ran small or my dogs chest to big. I have purchased several dog coats, sweaters, and sports JerseysShipping and Products have always been great !